Kimberly Kantor is an Adapted Physical Education Consultant for school districts across North Texas (Region X). Focusing on students with special needs in the area of physical education and recreation, Kimberly is passionate about her work and believes that all students, regardless of ability level, can strive to meet individual goals. As a facilitator with Special Olympics, Sports Extravaganza, and Kid-netic Games, she dedicates time to helping students celebrate their accomplishments and showcase their athletic abilities. Kimberly’s passion for community service extends to the LGBT population. In 2012, she founded Rainbow Roundup, originally a Facebook group for North Texas LGBT families that has grown to over 1200 members. In 2015, due to its tremendous success, Rainbow Roundup officially became a 501(c)(3) organization. As Founder and Executive Director, Kimberly organizes monthly events, provides support and resources, and creates an environment for members to develop lifelong supportive networks. She also serves on the Family Equality Council’s Southern Advisory Council. Additionally, Kimberly was co-chair for the Family Pride Zone Committee in Dallas, which provides a safe space for LGBT parents and children. Kimberly received her B.S. and M.S. degrees in Kinesiology from the University of North Texas and Texas Woman’s University respectively, specializing in adapted physical activity. She and her fiancé, Lorie Burch, are both advocates in the LGBT community. Kimberly is also a proud mother of two cherished daughters of the ages 11 and 6. This tight-knit, energetic family is most often found exploring and engaging in fun and educational activities involving exhibits, parks, performances, and a wide variety of community events. Ragan is a trusted tax advisor and leads Rainbow Roundup in all financial matters. 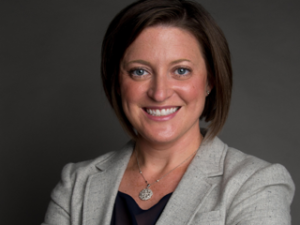 She has a long history of providing guidance to businesses and individuals in making important decisions related to limiting tax exposure and maximizing cash flow. 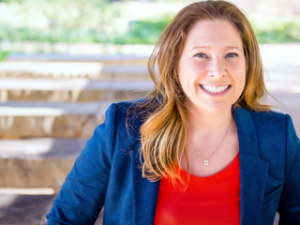 Ragan especially enjoys working with clients who have an entrepreneurial mindset because they are passionate about what they do and the business they are creating or building. Outside Rainbow Roundup, Ragan has her own CPA accounting practice. She is very active in the community with organizations such as the Texas Society of Certified Public Accountant, Dallas CPA Society – Leadership Development Academy (Past Participant), Dallas Running Club and the Human Rights Campaign Federal Club, Dallas. Ragan received her B.S. in Accounting & Information Management and M.S. degrees in Business Administration with a concentration in Taxation from the University of Texas at Dallas. She is also a Certified Public Accountant in the state of Texas. Ragan enjoys spending time with her wife and two young daughters. She is passionate about family, community and traveling with family and friends. 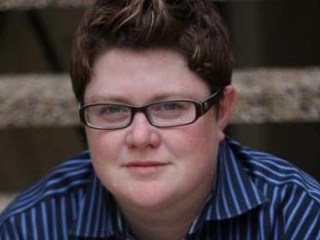 Laura is a trusted leader in the LGBT community and was named a Future Pioneer by the Dallas Voice. Since 2004, she has owned and operated Benchmark Legal Media, which provides creative and practical solutions for litigation technology. 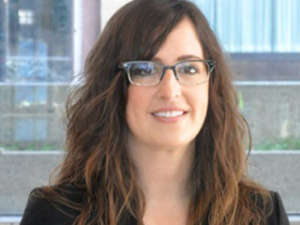 Laura has worked with many high profile clients, including Disney, Oprah Winfrey, GM, Viacom and MTV. Outside of Rainbow Roundup, Laura is passionate about equality and served as the documentarian for the National Equality March on Washington in 2010. That march led Laura to produce and direct an award winning documentary about the march, March On. Her film presented the story of Marriage Equality and the repeal of Don’t Ask, Don’t Tell through the eyes of five families that attended the march. She received her B.A. in Literature from Austin College and was one of the founding members of Austin College’s LGBT organization. Laura and her partner of 16 years live in Dallas, TX with their two spoiled and adored boys. Laura’s proudest of her activism today which includes being out and proud with her family, changing perception by her unapologetic example of a two-mom family. Rainbow Roundup is a non-profit organization that promotes acceptance in all aspects of lesbian, gay, bisexual and transgender families and allies, to serve and strengthen the community through social activities, education and connecting resources to individuals. If you are interested in working together, have a question, or want to join us – send us an inquiry and we will get back to you as soon as we can!